the physiological (relating to the physical and chemical workings of living things) nature of psychological (relating to the behavior of the mind) activity. Ivan Petrovich Pavlov was born in Ryazan, Russia, on September 26, 1849, the son of a poor parish priest, from whom Pavlov acquired a lifelong love for physical labor and for learning. He loved to work with his father in gardens and orchards and this early interest in plants lasted his entire life. At the age of nine or ten, Pavlov suffered from a fall that affected his general health and delayed his formal education. When he was eleven he entered the second grade of the church school at Ryazan. In 1864 he went to the Theological Seminary of Ryazan, a school for training priests. There he studied religion, classical languages, and philosophy, and he developed an interest in science. In 1870 Pavlov was admitted to the University of St. Petersburg (Leningrad) in Russia. He studied animal physiology as his major and chemistry as his minor. At the university he studied organic chemistry (the science that studies how living things are made) and inorganic chemistry (the science that studies how nonliving things are made). In this way he learned about what makes up both nonliving things and plants and animals. He also learned the techniques of scientific investigation. Scientific investigation starts with asking a question; the scientist then gathers information about the question and creates a statement that might describe the answer; finally, the scientist tests the possible answer through observation. After graduating from the University of St. Petersburg, Pavlov entered the Military Medical Academy in 1881. He worked there as a laboratory assistant for two years. In 1877, while still at the academy, he published his first work. It was about the regulation of the circulation of blood by reflexes (any unconscious or involuntary action of the body). Two years later he completed his course at the academy. He successfully competed in an examination that was given to the entire school. By winning this competition, Pavlov was given a scholarship to continue postgraduate study at the academy. In 1881 Pavlov married Serafima Karchevskais. He spent the next decade at the academy. In 1883 he completed his thesis (a long essay resulting from original research in college) on the nerves of the heart. Shortly afterwards he received the degree of doctor of medicine. During the 1880s Pavlov perfected his techniques of scientific investigation. This work made his later important discoveries possible. In 1890 Pavlov was appointed chairman of pharmacology (science of preparing medicines) at the academy. A year later he became director of the Department of Physiology of the Institute of Experimental Medicine. In 1895 he accepted the chair of physiology at the academy, which he held until 1925. For the next forty-five years Pavlov pursued his studies on the digestive glands and conditioned reflexes. During the first phase of his scientific activity (1874–1888), Pavlov studied the circulatory system. He focused on how blood pressure changes under various conditions and how heart activity is regulated. He saw that the blood pressure of dogs in his laboratory hardly changed, whether they were fed dry food or excessive amounts of meat broth. Pavlov observed special fibers called nerves that carry sensations and create motion throughout the body. His observations led him to state that the rhythm and the strength of the heartbeat is regulated by four specific nerve fibers. It is now generally accepted that two nerves, the vagus and sympathetic, produce the effects on the heart that Pavlov noticed. In his second phase of scientific work (1888–1902), Pavlov concentrated on the nerves directing the digestive glands. In 1888 he discovered the nerves of the pancreas that control the flow of insulin. Insulin is a substance that regulates the digestion of starches and sugars. In 1889 Pavlov discovered the nerves controlling the gastric (stomach) glands. For this work Pavlov received the 1904 Nobel Prize in Physiology or Medicine. 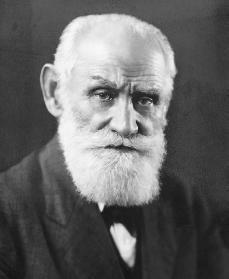 The final phase of Pavlov's scientific career (1902–1936) focused on determining how conditioned reflexes affect the brain. Pavlov had observed that his laboratory dogs would secrete saliva and gastric juices before meat was actually given to them. The sight, odor, or even the footsteps of the attendant bringing the meat were enough to trigger the flow of saliva. Pavlov realized that the dogs were responding to activity associated with their feeding. In 1901 he termed this response a "conditioned reflex." A conditioned reflex is a learned behavior, one that happens in response to something. This is different than an unconditioned reflex. An example of an unconditioned reflex is the pupil of the eye getting smaller when a person looks at a bright light. The person does not learn how to make the pupil of the eye smaller. It simply happens automatically. Pavlov's important lectures, papers, and speeches dealing with conditioned reflexes and the brain were presented between 1923 and 1927. He discovered that conditioned responses can be wiped out—at least temporarily—if not reinforced (strengthened through being rewarded). In 1918 Pavlov had an opportunity to study several cases of mental illness. He described a certain type of schizophrenia, a very serious mental illness, as being caused by weakening of brain cells. He thought the illness was a means of protecting already weakened brain cells from further destruction. Pavlov's last scientific article was written for the Great Medical Encyclopedia in 1934. In it he discussed his idea that there are two systems of nerve fibers. The first system receives signals or impressions of the external world through sense organs. Both humans and animals have this system. The second system deals with the signals of the first system and involves words and thoughts. Only humans have this system. Conditioned reflexes play a significant role in both nerve systems. Pavlov thought the conditioned reflex was the main way in which living things adapt to their surroundings. Pavlov was opposed to extreme political positions of any kind. He did not welcome the Russian Revolution of 1917, which destroyed the old system of the czars, or Russian supreme rulers, and replaced it with a Communist system. In a Communist society, property is held by the state and the state controls the distribution of goods. Pavlov was hostile to the new Communist system. Even so, Premier Lenin (1870–1924; the leader of the Soviet Union) signed a special decree in 1921, assuring that Pavlov would have support for his scientific work. In 1930 the government built him a laboratory. By 1935 Pavlov had become reconciled to the Communist system. He declared that the "government, too, is an experimenter but in an immeasurably higher category." Pavlov became seriously ill in 1935 but recovered sufficiently to participate at the Fifteenth International Physiological Congress. Later he attended the Neurological Congress in London, England. He died on February 27, 1936. Pavlov's work on conditioned reflexes and brain activity lives on today. It formed the basis of behaviorism. Behaviorism is an important branch of psychology that deals with observing the behaviors and habits of humans and animals. Babkin, Boris P. Pavlov: A Biography. Chicago: University of Chicago Press, 1949. Gray, Jeffrey A. Ivan Pavlov. New York: Viking Press, 1980. Todes, Daniel Philip. Ivan Pavlov: Exploring the Animal Machine. New York: Oxford University Press, 2000. Wells, Harry K. Pavlov and Freud. New York: International Publishers, 1956.